Clergy Study Days, April 30 – May 4, Caroline (note changes). The program begins with 4:30 pm Vespers and supper on Monday and concludes with Divine Liturgy and lunch on Friday. The theme of this year’s study days is Vision 2020: “The Vibrant Parish – A Place to Encounter the Living Christ” and our 25 Year Pastoral Plan: “Evangelization, A New Springtime,” with special guest Most Rev. 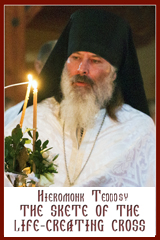 Ken Nowakowski, Eparchy of New Westminster. Clergy Retreat – August 20-24, Caroline. Most Rev. Michael Bzdel, Archbishop Emeritus, passed away on April 3 at the age of 81. Archbishop Michael was born in Wishart, Saskatchewan and served as Archbishop of Winnipeg and Metropolitan of Canada from 1992 until his retirement in 2006. Vichnaja pamjat! Most Rev. Ephrem Krevey, Bishop Emeritus, passed away April 3 at the age of 78. Bishop Ephrem was born in Ivai, Brazil, and served as the bishop of the Eparchy of Curitiba, Brazil, from 1971 until his retirement in 2006. Vichnaja pamjat! Bishop David blessed the request of Very Rev. 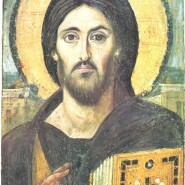 Michael Kowalchyk for retirement and accepted his resignation as Pastor of Saint Josaphat Cathedral, effective June 30, 2012. Bishop David appointed Rt. Rev. William Hupalo as Administrator of Saint Josaphat Cathedral, effective July 1, 2012. Bishop David appointed Very Rev. Greg Faryna as Administrator of Dormition of the Mother of God Parish, Edmonton, effective July 1, 2012. In 2010, by way of comparison, there were 30 eparchial priests, 12 religious priests, 4 deacons, 23 women religious, and 9 men religious; 220 baptisms; 109 First Communions; 74 marriages; and 259 funerals, 284 children in catechism; and 64 catechists. The Eparchy of Edmonton has launched its 25 Year Pastoral Plan on the New Evangelization. Over the past several years, the Eparchial Pastoral Council has embarked upon an ambitious endeavour in discerning and preparing a 25 Year Pastoral Plan for the Eparchy of Edmonton. The fruits of their labour are now complete. The 35 page document, entitled “Evangelization, A New Springtime – Encountering the Person of Christ,” and its accompanying 6 page summary and questions for reflection and action, will serve as a blueprint for long-term future pastoral planning and programming within the Eparchy. Bishop David called for the pastoral plan in a desire to discern where the Holy Spirit is calling us to be as Church twenty-five years from now, and how will we get there. The pastoral plan was launched on the Feast of the Annunciation, the Feast of the Good News; and the pastoral plan is Good News! The faithful are invited to download and read the document.